A few weeks ago the wild violets were poking their pretty little faces up in the yard and I took the opportunity to try my hand at candied violets. 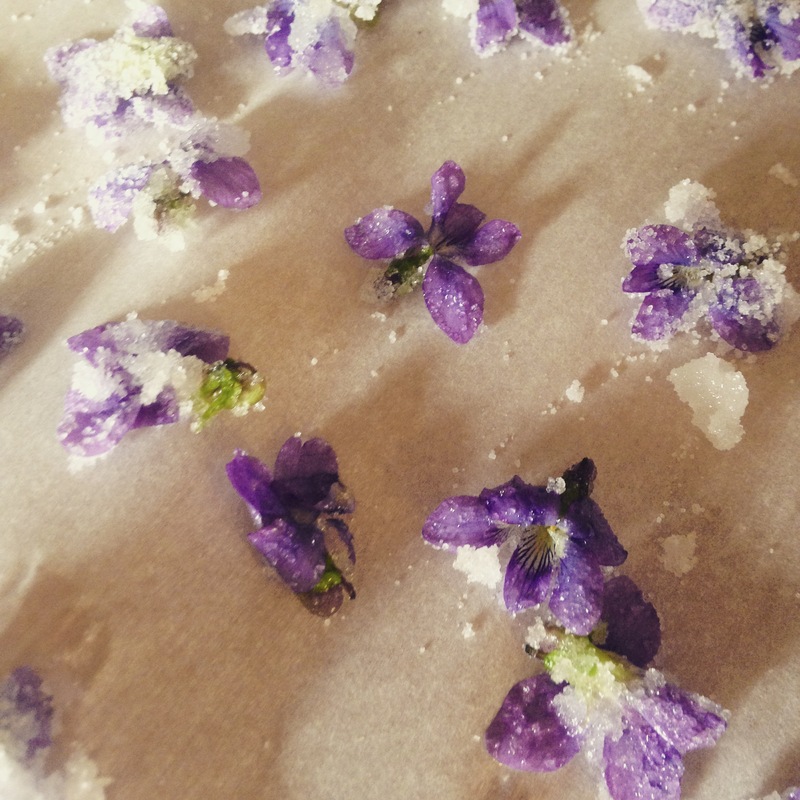 Mabel and I brushed the delicate blooms with egg white, coated them with sugar, and set them aside to dry thoroughly. They were so pretty I asked my baking expert friend Jude to make a special treat worthy of showing off the candied flowers. The cakes definitely upstaged the delicious violets, but not because the violets weren't amazing themselves. Other sweets were topped with sugars colored with wildflower petals. Candying violets will be added to our rites of spring. Interested in adding it to yours? We'll have wild violets available at our fundraising plant sale on Saturday, April 18, 2015. Come out to support Little Sugar Creek Community Garden (Charlotte), leave with a gorgeous array of interesting plants ready to inspire tasty treats!